I've been on a good amount of day hikes. But this one still takes the cake for my favorite. Not only was I spending time with a good friend before I left Washington state, but the scenery was just so gorgeous, we couldn't get over it! 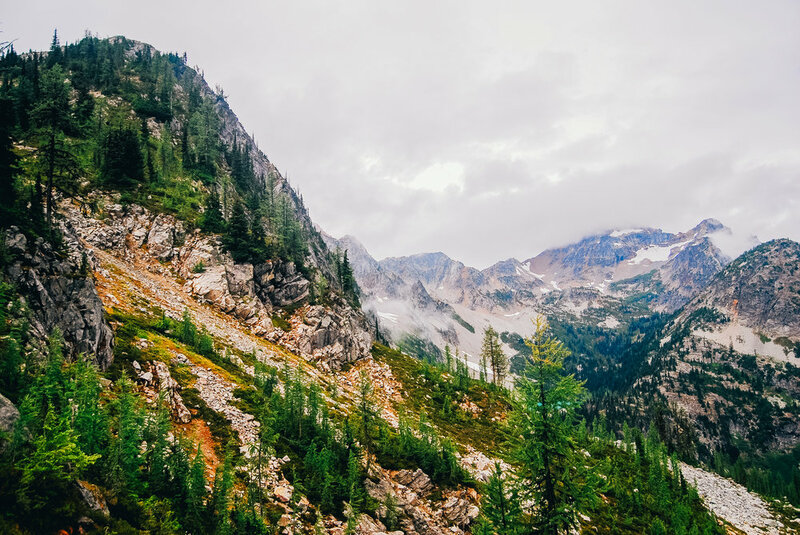 I discovered this hike while browsing on the Washington Trails Association website and didn't know what to expect in terms of scenery. I honestly just really wanted to see the North Cascades before leaving! 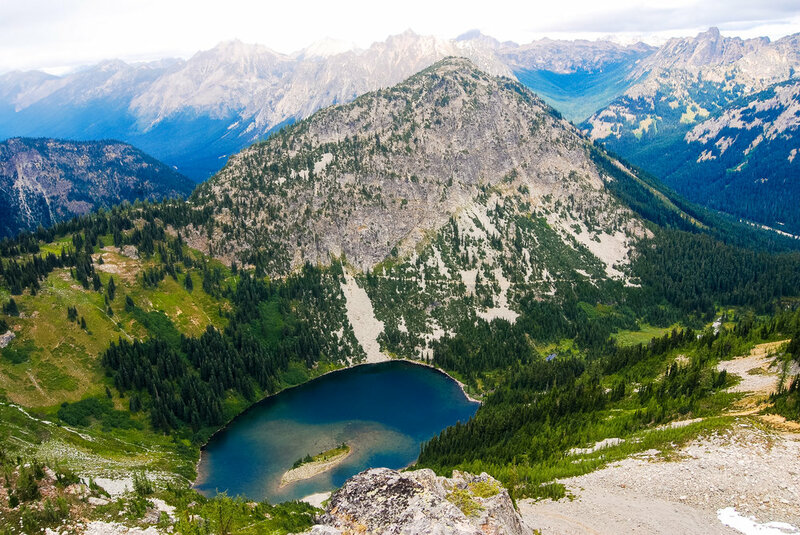 So after quick detours to Diablo Lake and Washington Pass, where I had been blown away by iconic Instagram pics, we headed to the trailhead, and I became even more amazed with each additional step up the mountain, if that was even possible! *RT detours to Lake Ann and Rainy Lake adds 2 miles to total mileage, and negligible elevation gain/loss. Starting from the parking lot, you can either go clockwise or counter-clockwise. Based on what I had read on the WTA website, counter-clockwise seemed more attractive to me, which is the way we went. And I'm so happy we did, because it was so much more gradual uphill, and I do most of my photography on the way up, and tend to not want to stop on downhills. Also, the views were just so much better going this way, in my opinion. We alternated going through some wide open spaces and dense forest, with views of the Cascade mountains behind us. After about 1 mile, we decided to take the detour to Lake Ann and marveled at the peaks above the lake. Greta and I just stared up, not really comprehending which mountain we were climbing, but noticing that all of them were very high (spoiler alert: it's the tallest one). It's so funny looking back on my beginning hikes: I didn't know how to read a topo map, and only had the stats from WTA to go off of. I was way too trusting of the outdoors back then! It started to rain right when we got to the lake, which made our hike seem more ominous. 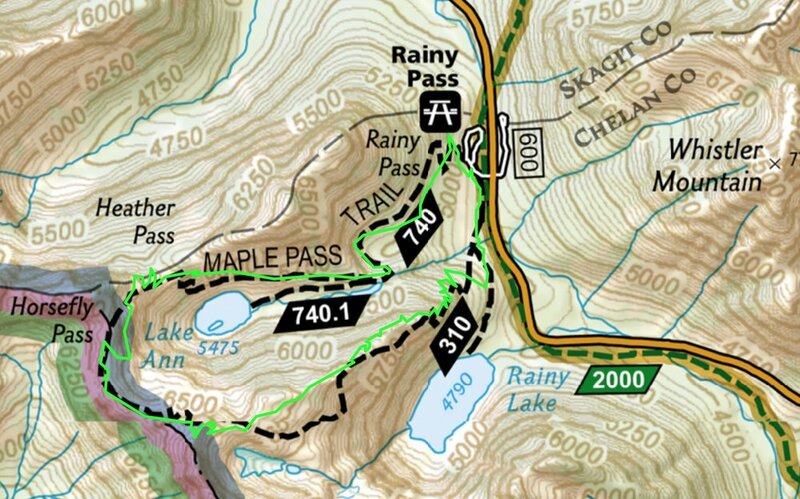 So, we turned around and walked back to the main trail, and began the long ascent to Maple Pass. And the views did not disappoint or let up the whole way! 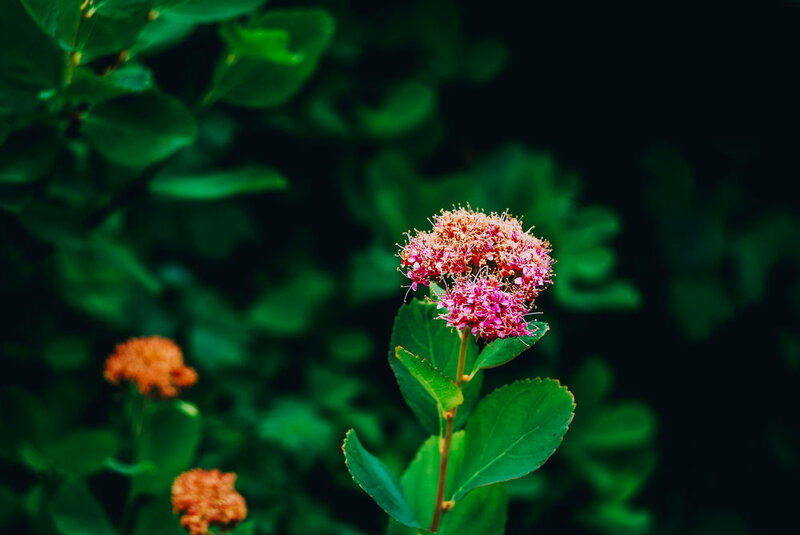 It was peak wildflower season in the cascades at this time, and the flowers were just so beautiful! We had many things to distract us from the climb: pretty flowers to macro! Amazingly gorgeous vistas to marvel at! We must have stopped every 10 steps or so to take pictures. Once we reached the top of one of the ridges, I just about fainted from the view. I don't know how Greta put up with me. I was complimenting this aerial view of Lake Ann to death and also marveling at how we were JUST down at the shores of the lake! I had never in my life seen a place that looked like the mountains here. 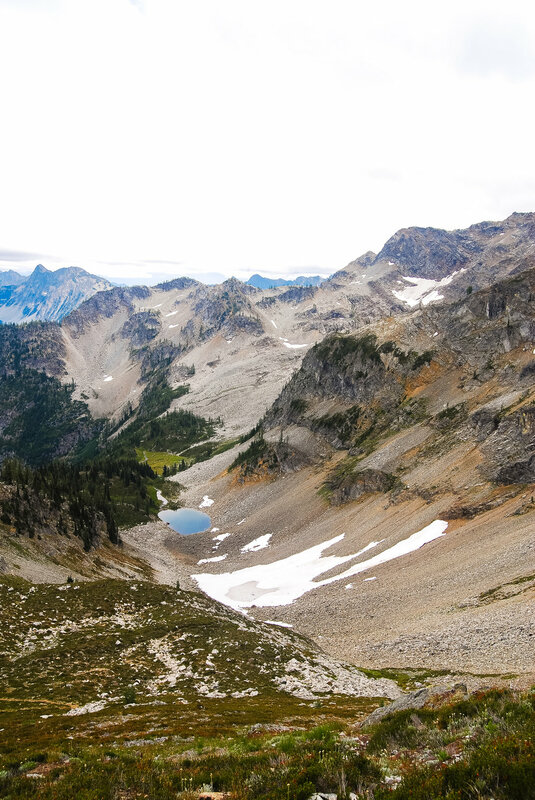 I was (and still am) so obsessed with the ridges and rocks and alpine shrubs of the Cascades. Once we reached the "top" of the ridge, we still had a little ways to go to the top, but we weren't even complaining about the uphill slog anymore (even though I was definitely short of breath). It's hard to complain when the views are literally priceless! I don't mean to sound dramatic, but I literally almost cried when we got to the top (I probably would have if I was by myself). I just couldn't believe how beautiful this place was. I really hadn't ventured far from Seattle during my four years living there, and my time was coming to a close, and I think this hike made me feel homesick for Washington (and mad at myself for not taking more advantage of the proximity and accessibility of these beautiful places) before even leaving! After lingering at the top, taking photos, and talking to other hikers, we made our way down the other side of the pass. And then I saw my first marmot! I was unnaturally excited. I think it's fair to say everything about this hike made me unnaturally excited about the outdoors. The descent was steeper and more uneven than the ascent, but we hustled down as we could see the storm clouds moving in, promising to dump more rain on us. We only stopped to admire the gorgeous blue water of Rainy Lake before getting back to the car. If you couldn't tell from the above description, I am so in love with this place and this hike. I think if everyone hiked this trail, they would all fall in love with Washington and never move away. Which would be bad for Washington, but I digress. If you're in the area, this is a must-do hike. Greta and I were talking about when we could next want to hike it again (fall) before we had even finished the hike, but I haven't been back to do it (yet). Do you have a hike that just blew your mind away and made you think about the outdoors differently? Leave it in the comments below!